With accusations of misogyny, conspiring with Russia, along with the recent allegations of a cover-up involving the firing of FBI Director James Comey—Donald Trump appears to be the most hated president in American history. In a May interview from the Seeds and Chips Global Food Innovation Summit in Milan, Italy former U.S. president Barack Obama said, "You get the politicians you deserve, and if you don't vote, you don't participate, and you don't pay attention, you will get policies that don't reflect your interest." There is much truth to Obama’s words: out of 297 million eligible voters in the United States, 95 million chose not to vote in this their most critical election since Bush/Gore. Trump’s America first policies of tearing-up the North American Free Trade Agreement, his idea of the Mexican Wall, and his view the North Atlantic Treaty Organization is obsolete, are making more enemies than friends with most U.S. allies; allies who have supported America not only in the United Nations, but in the battlefields of Europe, Afghanistan, and Asia; specifically against modern day terrorists since the tragedy of 9/11. 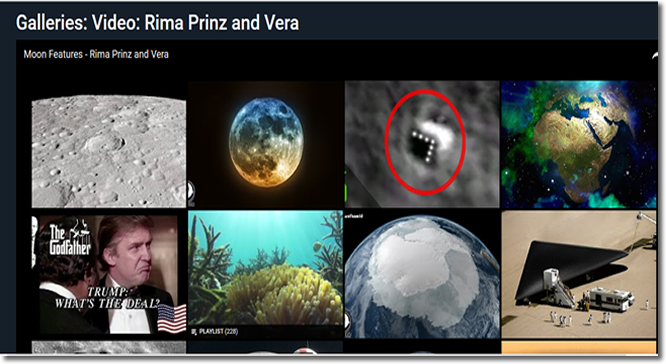 After he was elected president in November 2016, Donald Trump was quietly lampooned on the US government funded NASA website in January 2017. See lower left-hand corner. More often than naught, Trump’s presidency is looking like a dictatorship rather than one of discussion and open dialogue. In his first 100 days of office, Trump has signed 51 executive actions compared with 41 by former president Obama. Furthermore, he and the GOP have begun to dismantle Barack Obama’s legacy by passing a vote in the House of Representatives 217-213 to repeal the Affordable Care Act—some accusing him of using political threats against certain members of Congress who planned to vote against the repeal. In my view, Trump’s idea to allow the free market to decide lower healthcare costs is simply foolish. This concept hasn’t worked in the past, and so, what makes him think it will work in today’s world of rising medical costs where insurance companies are looking to maximize profits, rather than coverage? When it comes to the media, Trump has been in an ongoing information battle, labeling most news reports as fake. His fondness of Twitter has been bizarre, and his Tweets often confrontational. Moreover, Trump has threatened to cancel all White House press briefings due to his dislike of most news agencies and their so-called inaccuracies. Not long ago, a group of psychiatrists said they were concerned President Trump may have serious mental issues. No doubt, his nonsensical beliefs can be worrisome. For example, his idea Barack Obama was not an American citizen, or how he despises political correctness, but rarely makes a statement based on the facts; or how he could stand in the middle of 5th Avenue and shoot somebody, and not lose any voters.